When ready to make maaladu in a small pan dry roast the roasted gram powder for 1-2 mins. Let it cool down. Now add powdered sugar. Mix well. In the same pan melt the ghee. Add broken cashewnuts and fry till it is brown in color. Switch off the flae. Add roasted gram and sugar mixture. Mix well. when it is cool down and you are able to handle then take small amount and roll them into balls (If it is breaking you need to add more Ghee) if it is bit wet it is ok it will be ok next day. 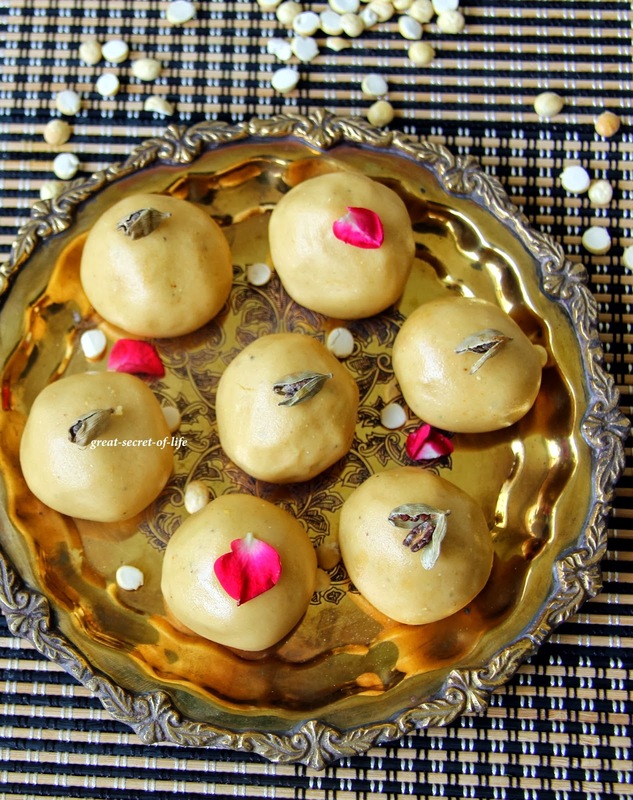 Delicious ladoos and beautiful clicks dear..
nice clicks and yummy laddos. 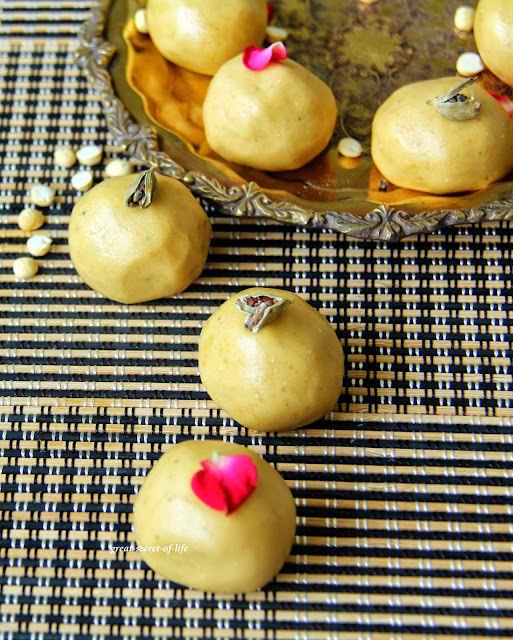 awesome ladoos with lovely clicks. Maa laddu is my fav ,very healthy too. Omg, those laddoos are just inviting me to take some and have rite now.. I hate coming here in the evening :)) laddu looks so smooth and yummy. 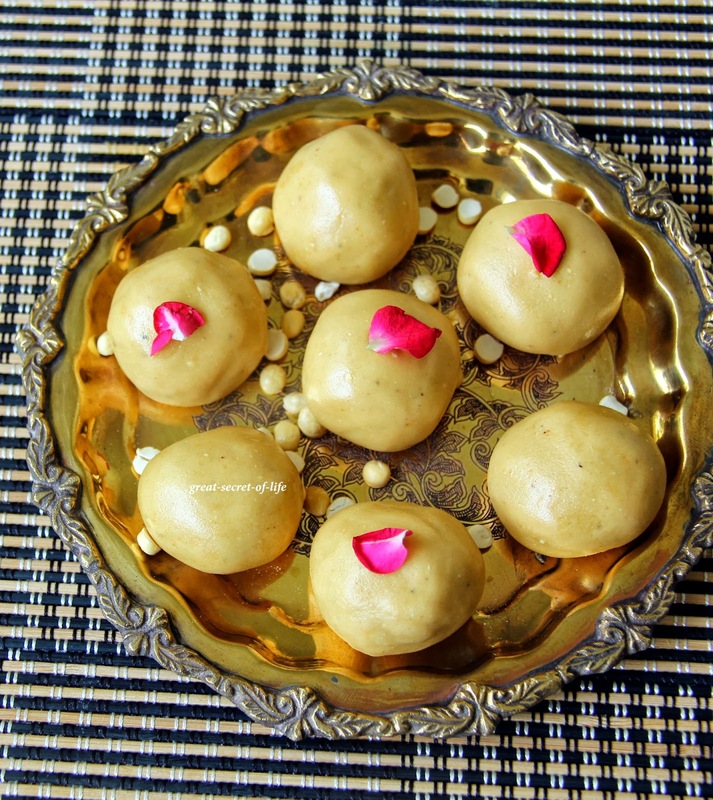 Laddu has come out well and looks very delicious and yummy..
Looks yummy, can I add milk instead of melted ghee to make ladoo? thanks!